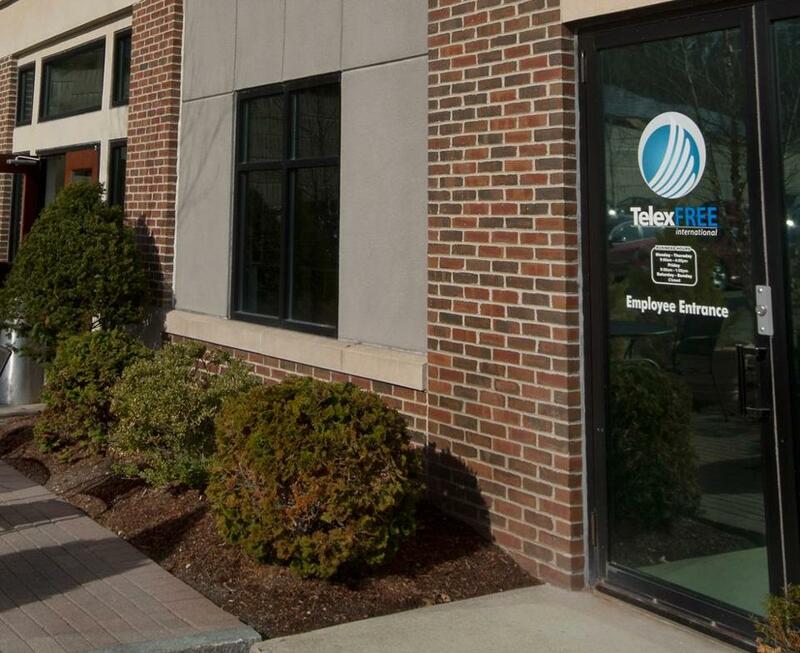 TelexFree’s Marlborough offices were searched on Tuesday, the day after the company sought bankruptcy protection. Authorities allege it is simply a pyramid scheme. The Securities and Exchange Commission said it has frozen the assets of TelexFree and eight principals and associates, alleging the company has been running an “illegal pyramid scheme’’ that recruited victims from around the world. Regulators said the company and its top promoters had raised $300 million by targeting Brazilian and Dominican communities in Massachusetts and 20 other states. “The defendants are continuing to enroll new investors every day, but it is clear the pyramid has collapsed,’’ the SEC said in its complaint. The SEC found that TelexFree produced just $1.3 million in actual revenue for Internet phone services, a sliver of the $1.1 billion it allegedly promised investors, who were told they would reap generous returns if they placed online ads touting the service. “TelexFree has been a money-making machine for the defendants,’’ the SEC said in its complaint. Since mid-November, the company’s financial records show it has transferred $30 million to the principals or their affiliated companies, the SEC alleged. Tens of millions more in customer funds are currently unaccounted for, the SEC said. 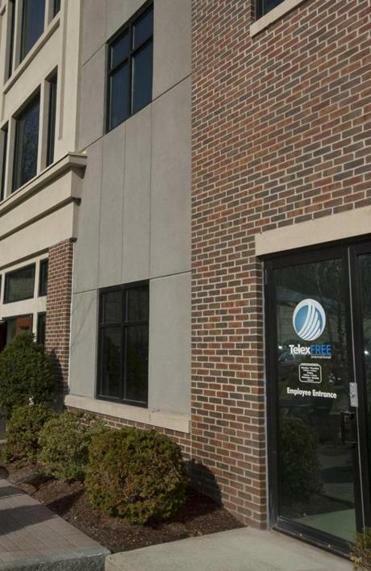 The SEC’s lawsuit says the group of principals and promoters allegedly behind TelexFree include the former company president who ran a cleaning business out of his Ashland home and a certified public accountant from Indiana. TelexFree filed for bankruptcy protection in a federal court in Nevada Monday. FBI and Homeland Security agents raided the company’s offices in Marlborough the next day. During the agents’ search of the offices, chief financial officer Joseph H. Craft was stopped by a deputy sheriff as he sought to leave. He told the deputy he was merely a consultant, helping TelexFree prepare its bankruptcy case, according to one of the SEC’s court filings. The SEC found that executives of the company have been trying to transfer millions of dollars out of TelexFree to themselves or other entities in recent days and weeks. It received a judge’s approval to freeze the company’s assets on Wednesday. The cashier’s checks seized during the raid were made out to various principals and TelexFree entities, according to the SEC filing. Five of them were made out to TelexFree LLC, in Nevada, for $25.5 million, and one, for $2 million, was made out to Katia B. Wanzeler, who is believed to be the wife of co-owner Carlos N. Wanzeler of Northborough.A $10.4 million check was made out to TelexFree Dominicana, according to the court filing. On April 16, the day after authorities searched the Marlborough office, co-owner James M. Merrill submitted an order with his brokerage firm to sell $1.2 million of his mutual fund holdings, an SEC attorney learned, according to a court document. TelexFree’s fortunes have been in peril for months. In June, the company’s Brazil operation was shut down by a judge who said TelexFree was a fraud; investigations of money laundering and other alleged wrongdoing are underway in several countries. Still, thousands of people in the United States have continued to participate in the company, many of them from Brazilian immigrant communities. Participants invested in membership “accounts” of $289 or $1,375 and were told to go online every day to approve one or five Internet ads, and receive annual returns as high as 250 percent. In March, TelexFree’s finances had begun to crumble, regulators alleged, yet the company still kept pressing investors to put in more cash. “Even after the SEC and other regulators have alleged that such programs are a fraud, the promoters of TelexFree continued selling the false promise of easy money,’’ Paul G. Levenson, director of the SEC’s Boston regional office, said in a statement Thursday. The SEC’s fraud complaint names owners Merrill, 52, of Ashland, and Wanzeler, 45, as well as Sanderley Rodrigues de Vasconcelos, a promoter known better as Sann Rodrigues, who is 42 and used to live in Revere. The SEC said he now lives in Davenport, Fla. He was previously sanctioned by federal securities regulators in 2006 for defrauding Brazilian immigrants in the Framingham area through a prepaid phone card outfit called FoneClub. Also named in the complaint are four of the company’s top promoters: Steven M. Labriola, 53 of Northbridge; Santiago De La Rosa, 42, of Lynn; Randy N. Crosby, 51, of Alpharetta, Ga., and Faith R. Sloan, 51, of Chicago. Craft, an accountant who serves as financial chief according to the SEC’s complaint, is 50 and lives in Boonville, Ind. None of the people were available for comment. A lawyer representing the company has not responded to calls or e-mailed requests for comment. The SEC lawsuit is a civil complaint. The regulator wants the company to stop soliciting investors, return any ill-gotten gains, and pay penalties. Secretary of State William F. Galvin sued Tuesday, alleging the firm defrauded Massachusetts residents of $90 million. The alleged fraud appears to be global, with tens of thousands of people from Brazil to Spain to Africa affected. Three other entities also are named in the SEC’s complaint: TelexFree Financial Inc., TelexElectric, and Telex Mobile Holdings Inc.
Beth Healy can be reached at beth.healy@globe.com. Follow her on Twitter @HealyBeth. Erin Ailworth of the Globe staff contributed to this report.